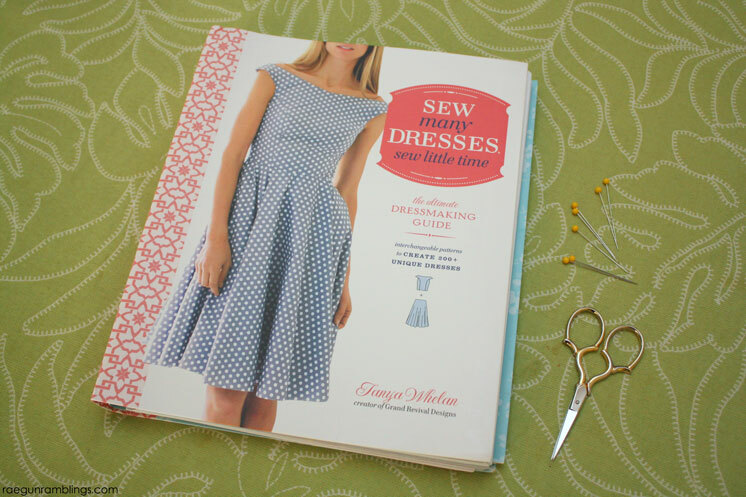 Have you guys seen this book, Sew Many Dresses, Sew Little Time: the Ultimate Dressmaking Guide? It’s a sewing girl’s dream. If you or anyone you know has ever wanted to make your own dresses this is such an amazing resource. One you get past the 20 minute skirts and start really wanting to make stuff with a little more fit and style you’ll want to pick this up. Today I have have the author Tanya sharing a tutorial to give you a sneak peek. 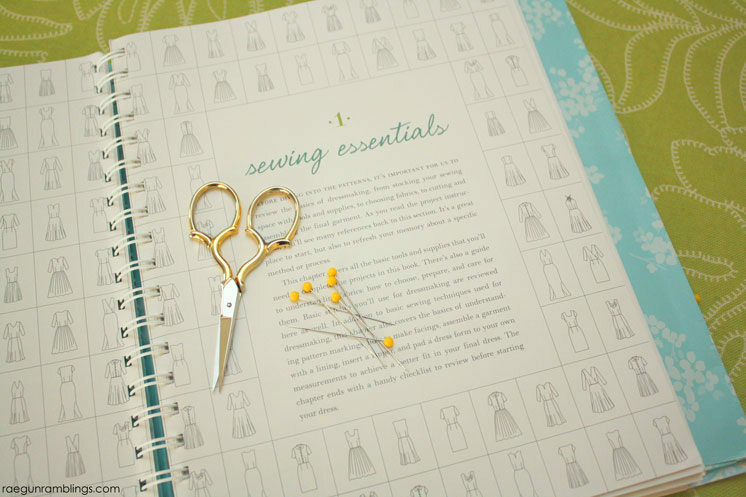 The book goes over so many basics from different types of stitches, tools (from fabric to french curves), techniques (from lining to sewing zippers) and more (for example like picking your right size). 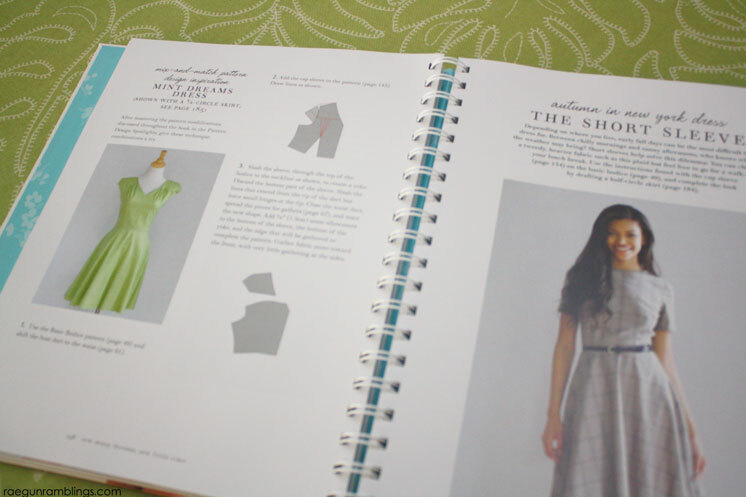 But the main girth of the book is dedicated to teaching how to do different styles and techniques of bodices and skirts and how you can mix and match them to get countless numbers of dress styles. There is SO much to learn in these pages. All the bodices start with the basic bodice (pattern for this included in the book) and from there you learn how to tweak them to get different looks like sleeves, cowl neck, collars and more. Let me turn it over to Tanya to share how to adjust a basic bodice when you want to use a lower yoke (like the dress pictured above). Hi there! 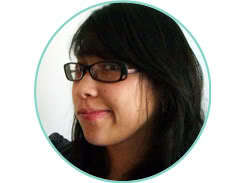 I’m Tanya Whelan. I’m a fabric designer for Free Spirit and my 2nd book, “Sew Many Dresses, Sew Little Time: the Ultimate Dressmaking Guide”, has just been released. The book allows readers to create over 200 unique dresses with interchangeable patterns and easy pattern modifications and I’m so excited Marissa’s letting me share it here. Begin by raising the bust points on the bodice. Draw a straight line through the center of each dart. Where they intersect is the actual highest point of the bust. Re draw the dart legs so that they extend to this new higher point. Cut out the new darts but leave a small hinge at the bust point. Rotate the hinged piece upward to close the side seam dart and tape. Draw a straight line from the tip of the dart to the armhole. Cut the line but leave a hinge at the bust point. Rotate the hinged piece downward to close the waist dart and tape. Use a soft tape measure to measure from your waist to under your bust where you want the yoke to start. Measure from the waist stitching line on the pattern the same amount you did on yourself and draw a smooth line across the pattern at that point. Make sure the first 1/4″ of the line from the center front of the pattern is perpendicular to the center front. Cut through the line to create the new bodice pattern and lower yoke pattern. Rotate the hinged piece upward to close the armhole dart and tape. Lower the dart the same amount you raised it in step 1 and redraw the dart legs to the lower point. Trace the new pattern pieces and add seam allowances to both the bodice and yoke where they were cut. Thanks so much to Tanya for the tutorial! You can learn more about Tanya on her facebook page and purchase her book Sew Many Dresses, Sew Little Time: the Ultimate Dressmaking Guide on Amazon! This looks like a really great book. I’d like to win because I want to learn to make better fitting garments for myself. Thank you for the chance to win! So much useful knowledge!! What a handy reference. what a great idea! I would love to win this book! I love to wear dresses often and would like to get better at making them. I am new to dressmaking and so far have just sewn everything according to the pattern. Don’t have a clue how to start altering things to get a better fit so I need this in my life! I’d love to learn to sew my own dresses. I have some patterns but I’ve been too intimidated to try them up to now. I have been reading many blog posts about re-fashioning items found in resale shops or even your own closet. This really interests me I’ve recently lost weight and would like to alter my clothes and the patterns I have. Having this book would help me understand how to do this! I’m just starting to make my own clothes an want to try dresses, but patterns I’ve seen always have something I wish I could change. I love the mix and match idea of this book. I would love, love, love to be able to learn these techniques from this book! I would love this book to learn more about how to adjust patterns to fit my body better. Thanks for the giveaway! What a great book! 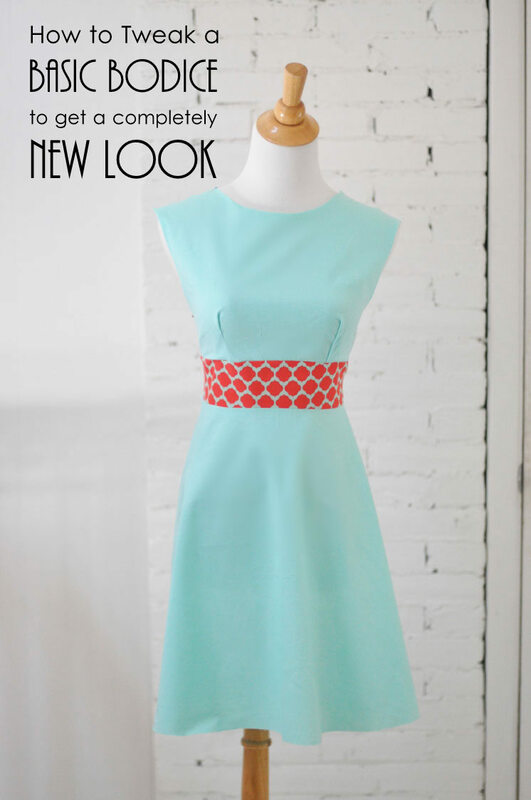 I’m just getting into sewing my own clothing, but this looks like something right up my alley! I would make dresses for me and my girls. Especially since we are on the larger end of the bust sizes! What a great book. I am always trying to alter patterns, sometimes with good results sometimes not. This sounds like a wonderful resource! Bodices are the hardest thing for me, given the shape of my bust and my high waist. I do desperately need to know how to modify the existing patterns I have, to make them fit me better. I can’t wait to get this book! I just had my first “Simple Sewing” class today at my library, and it was a huge hit! I’m hoping to run more programs since I was able to get some machines donated – I can definitely see this book being used by my regular teen patrons. I would love to create a pattern just for ME!! I have very particular taste and odd sizes here and there and I want comfort too….. Now find a pattern to FIT that wish list?? This book would be ideal !! Thanks for giving me hope , that one day I will have the dress /clothes of my dreams. I like this book and would like to learn some more tricks. I am taking my daughter her 1st sewing machine and sewing basket with supplies and fabrics towards the end of the month. She is wanting to sew clothing for herself and her soon to be 4 children. This book could be a great help! I would love this book, firstly so that I could learn more about adapting patterns, I took a class on drafting patterns in college but wasn’t able to fit in the class on altering as much. It would help me make better fitting clothes for myself, and also help my sister to make better fitting clothes for her. I absolutely love sewing and sadly don’t have enough money to get all the amazing books on top of patterns, fabric and notions. I’m so intimidated by making my own clothing from anything but a purchased pattern – this would be a wonderful way to gain some confidence! This book look awesome!! Thanks for the opportunity! I love to try new things and this book gives me that exactly!!! Yes it is awesome. My library has it so I’ve borrowed it twice for good adaptable ideas on some items. Hope to be a humble but proud winner! I would love to have this book because I am always looking for basic patterns that I can tweak to make different looks with. So much easier to have one pattern you know fits well and make different versions of it than multiple patterns. I would love this book nothing i ever buy ever fits properly and this book look fab. This looks great! I’ve been trying to psych myself up to sew more for me and this would really help! I have been making accessories for a while and I am just jumping into clothing. Would love this book for some guidance. I’m just learning how to sew clothes, and this book would be so helpful! I am a big skirt and dress person. Hoping to win! This would be a great tool for learning how to get a more custom fit. I would love to have this book. Thank you for doing this giveaway! I would love anything that I can use as a sewing reference!!! This looks like a great book – and I’m glad I stumbled upon this website…I will be visiting here a LOT!!! Thank you for the great giveaway! I have been making clothes since I was a teenager but I have no formal training and would love to know how to alter patterns correctly. Cool! I’ve sewn a few dresses, but I’m always too scared to make modifications to get the most out of the patterns I have. This book would be perfect for that! Ooo, this looks like exactly what I’m looking for when it comes to patterns. I would love to win a copy! I am attending sewing classes at my school. I would love to get this book because it would give me inspiration and great instructions. I just want to use my sewing machine and be creative. Sewing is my stress reliever.